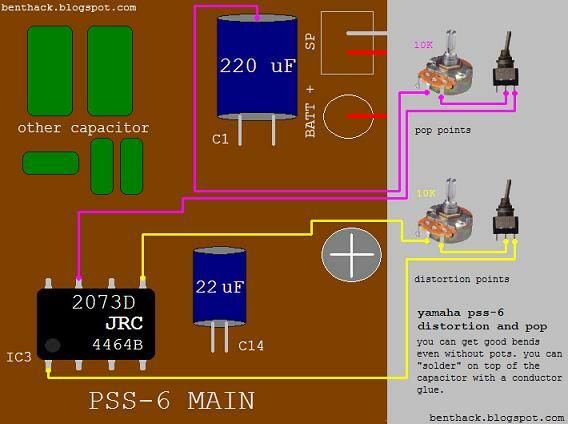 The above mod found on the Benthack website illustrates a couple of overdrive/distortion bend points on the amplifier IC of a Yamaha Portasound PSS-6. 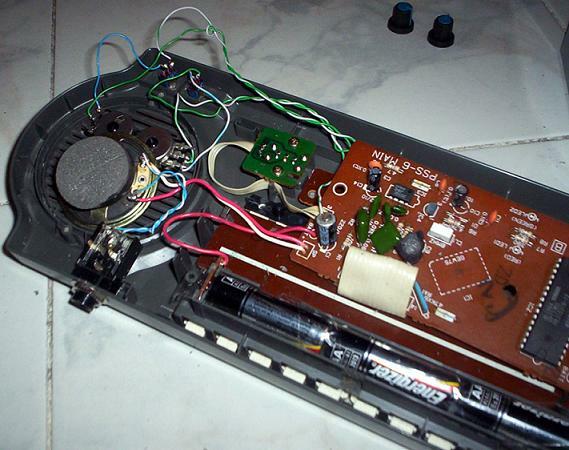 This keyboard is also quite suitable for glitching thanks to the separate ROM chip with AWM technology also found in many top-end Yamaha MIDI Modules. Unfortunately this model lacks analog volume control and the instrument selector buttons are overloaded, you get what you pay for. On the upside the small form factor makes it nice and portable.